The racing provided at the Mickey Thompson/Kal Gard Lubricants SXS Series presented by Skin Industries is great family entertainment for all ages. With so many divisions at this race, there is something for everyone. 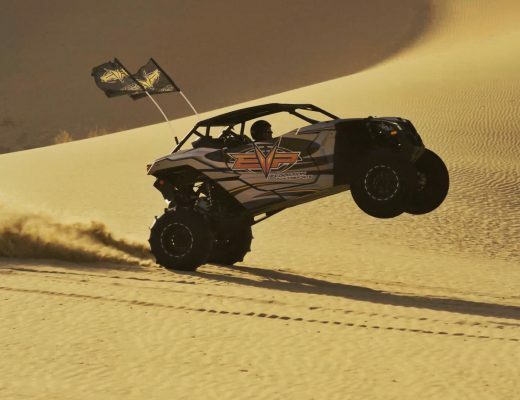 Whether you are rooting for your favorite kid racer in the Karts or on the edge of your seat cheering for your favorite Truck or UTV to cross the finish line, you’ll have a great time out at the races! Along with the great racing we will also have some awesome Street Bike Action, the Discount RV’s RV Showcase, as well as a Vendor Village with all your off-road necessities to rep the dirt lifestyle when you get back home! Gates open at 5pm. General Admission is only $15 for adults and there are a Limited amount of FREE Tickets available at any OFF ROAD WAREHOUSE locations – Simply go to offroadwarehouse.com to find the location closest to you. $10 for kids (6-12). Don’t forget if you want to get there early and be closer to the action you can get a pit pass for just $25 (ages 6 and older). Pit gates open at 8am. PAS is located at the Lake Perris Fairgrounds, Home of the Southern California Fair, at 18700 Lake Perris Dr Perris, CA 92571. For more info please call 951-940-0134 or visit DirtAlliance.com or M4SX.com for more info!